New caravan for 2012 - Rhiwlas Holiday Caravan sleeps up to six people. 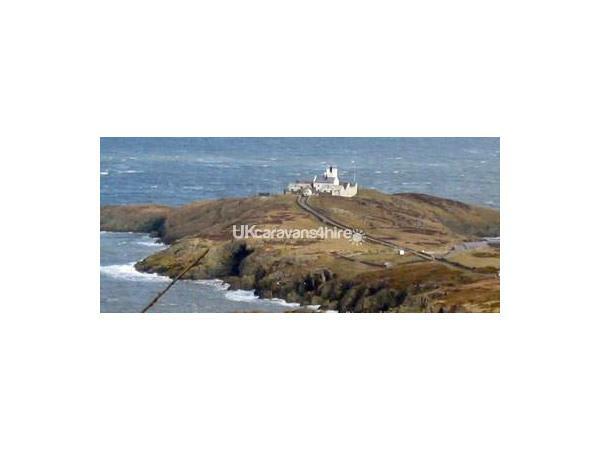 Our caravan is set in a private off road location with magnificent Sea views. Set amidst 18 acres of Private land Rhiwlas Holiday Caravan offers everything required for both tranquil and relaxing holiday. The caravan is situated by its self on the edge of the small-holding and is Fully equipped with outside seating patio area. Views overlook the stunning countryside Parys moubntain and the Irish sea. Ample Parking is available. In its idyllic rural setting situated on the edge of the hill above the village of Pensarn, mid-way between Benllech and Amwlch. This is an excellent place to stay for both young or older people to enjoy outdoor activities and discovering the ruins and ancient towns & villages of Anglesey. For the ramblers, cyclists and fishermen among you, delightful bridle-paths and walks lead from the doorstep up on to wonderful open hills where there are endless opportunities for walking, cycling and riding. The beautiful coastline of Anglesey forms the backdrop to this lovely area that is renowned for walking, cycling and country pursuits. Other attractions close by include: Golf Courses, Horse Riding, Craft Centre, seaside and lots more. The area also has some great pubs offering first class cuisine - One of which is within walking distance of Rhiwlas Caravan. With 125 miles of sandy coastline, a multitude of hidden bays, and spectacular cliffs, Anglesey has been designated an 'Area of Outstanding Natural Beauty'. Its array of resorts, beaches, historical monuments, attractions and activities means that Anglesey guarantees you a holiday with plenty to see and do.